Children whose mothers reported severe symptoms of postpartum depression lasting at least eight months after childbirth may be more likely to experience behavioral problems and depression compared with children whose mothers’ postpartum depression was not persistent or severe, suggests a study published today in JAMA Psychiatry. “Health care professionals should identify these women for further referral because early and effective treatment could reduce the continued exposure of the child,” wrote Elena Netsi, D.Phil., of the University of Oxford and colleagues. To determine whether differing levels of persistence and severity of postpartum depression are associated with subsequent maternal depression and child outcomes, Netsi and colleagues analyzed data contained in the Avon Longitudinal Study of Parents and Children (ALSPAC). ALSPAC is an ongoing population-based study examining the overall health of children born in southwest England between April 1991 and December 1992. Maternal depression was measured using the self-rated Edinburgh Postnatal Depression Scale (EPDS) at two and eight months. The authors separated the group into three levels of depression severity, based on EPDS score: moderate (13 to 14 points), marked (15 to 16), and severe (17 or more points). 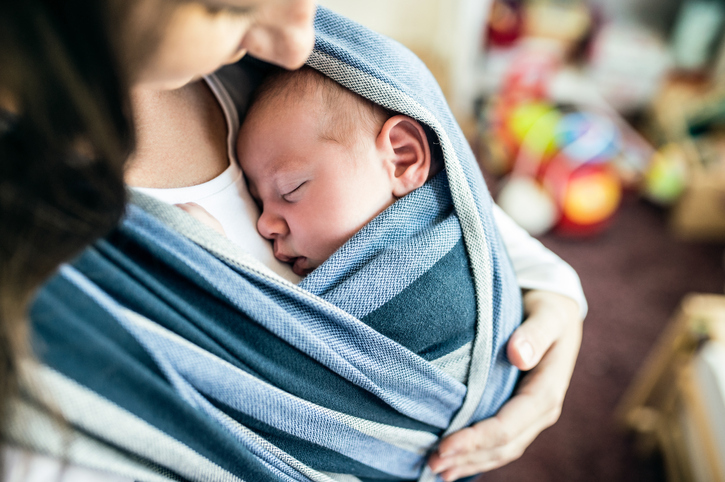 Postnatal depression was considered persistent when an individual scored above the EPDS threshold at both the two- and eight-month postnatal assessment. The authors compared the following outcomes in the children born to women with varying degrees of postpartum depression: child behavioral problems at 3.5 years (based on maternal report), math scores at age 16 (extracted from records of public exams), and offspring depression at 18 (based on self-report). These three offspring outcomes were shown to be associated with postnatal depression in this sample. Children of women with persistent and severe depression had a fourfold increased risk of having behavioral problems at 3.5 years, a twofold increased risk of having lower math scores at 16 years, and a sevenfold increased risk of depression at 18 years. They also compared the trajectories of later EPDS scores in women with varying degrees of postpartum depression. They found that regardless of the severity level, women with persistent postpartum depression showed elevated depressive symptoms up to 11 years after childbirth compared with women who did not meet the threshold for moderate postpartum depression. “These results are important because they suggest a change from the current U.S. Preventive Task Force recommendations of universal screening for depression in all pregnant women to universal screening for depression beyond pregnancy,” Myrna M. Weissman, Ph.D., of Columbia University College of Physicians and Surgeons wrote in an accompanying editorial. Don’t Be Left Out—Vote Today! Today is the last day to vote in APA's 2018 Election. Exercise your right to help shape psychiatry’s future by selecting the candidates you believe are best qualified. Click here to vote now.